What is the DD-2656 Form for? 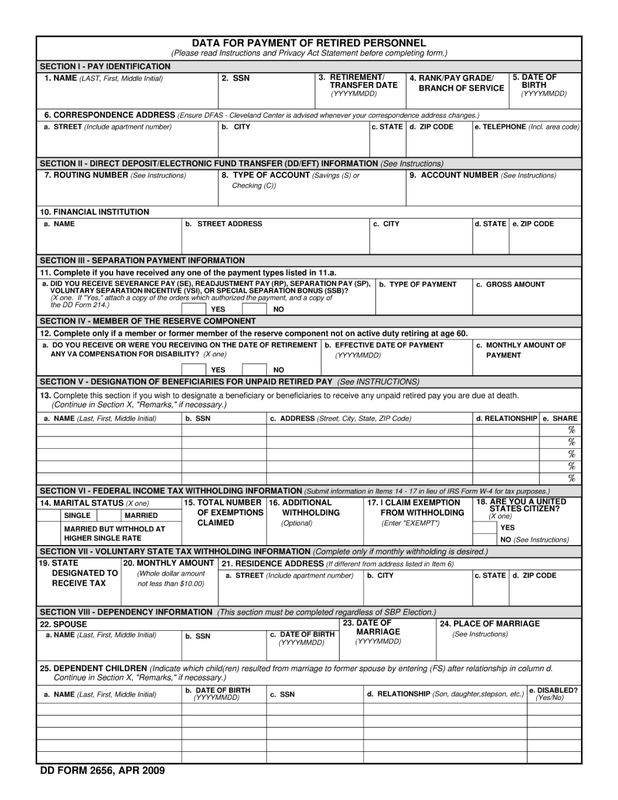 The DD 2656 form has to be signed. In some cases, a signature of a spouse is also required and should be confirmed by an attorney. Note, that it is necessary to submit the package of documents no later than six months before the date you cease to work.